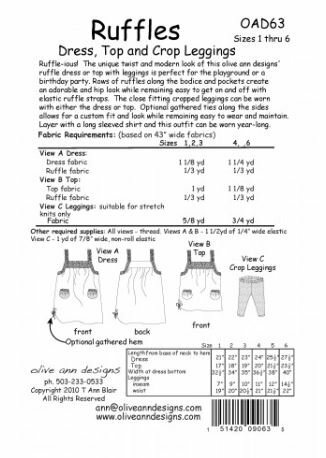 Ruffles Children's Pattern. Create Dress, Leggings and Top. Size 1-6.